The Iso-Pod design is based on the scientifically understood concept that vibrations from the electro-mechanical function of any component combined with the ambient vibration transmitted within the environment will interfere with the electronic circuitry to degrade the output signal quality of an environment component. Component isolation was developed decades ago for use in the first generation of stealth nuclear submarines. 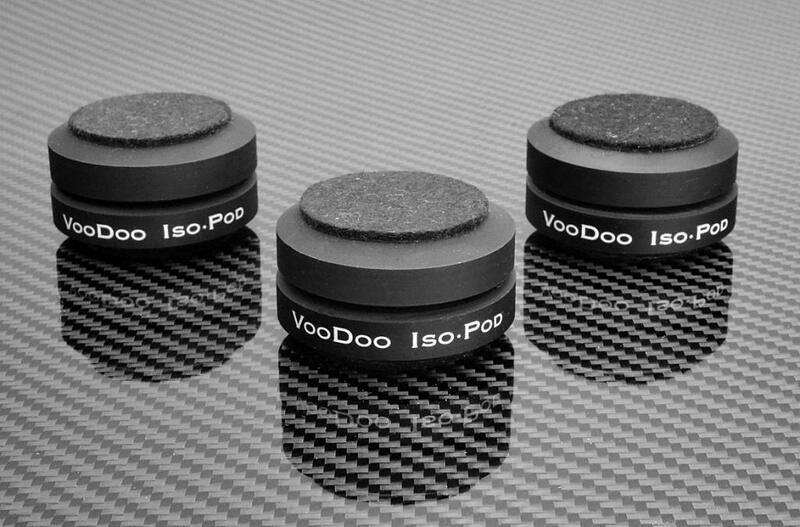 The Iso-Pod provides excellent mechanical stability in either the 3-Point or 4-Point configuration. Components will not shift or slide. A set of industrial-grade felt pads (supplied) may be adhered to each disc to protect the underside of the component from scratches, stress marks and residue stains. Each Iso-Pod supports up to 250 lbs. Sold with our 30-day money-back guarantee.